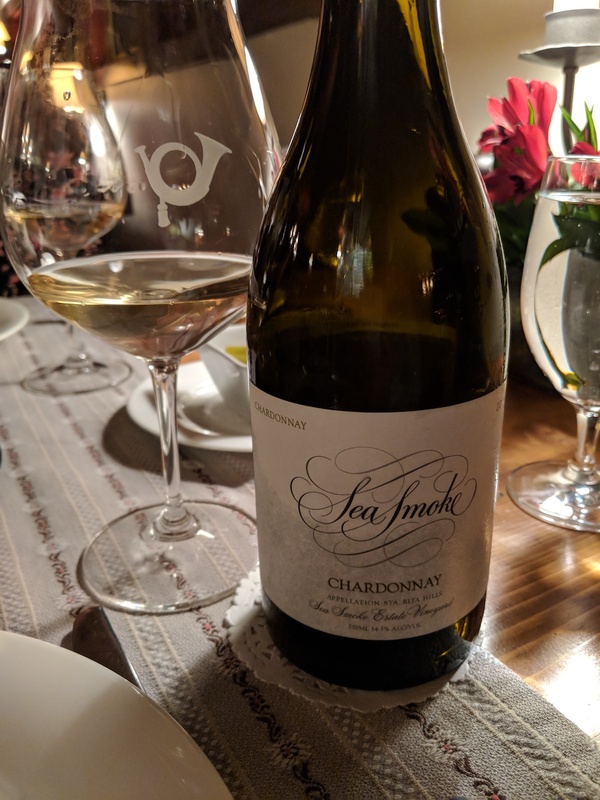 We enjoyed the 2014 Sea Smoke Chardonnay, an elegant California wine, on a recent stay at the Post Hotel in Lake Louise, Alberta. While most of our evenings were spent in the comfortable, elegant main restaurant, on this particular night we booked dinner for two at the Fondue Stubli, a cozy nook just off the main dining room, formerly the hotel’s cigar lounge. We were craving a Chardonnay to pair with our traditional swiss cheese fondue. 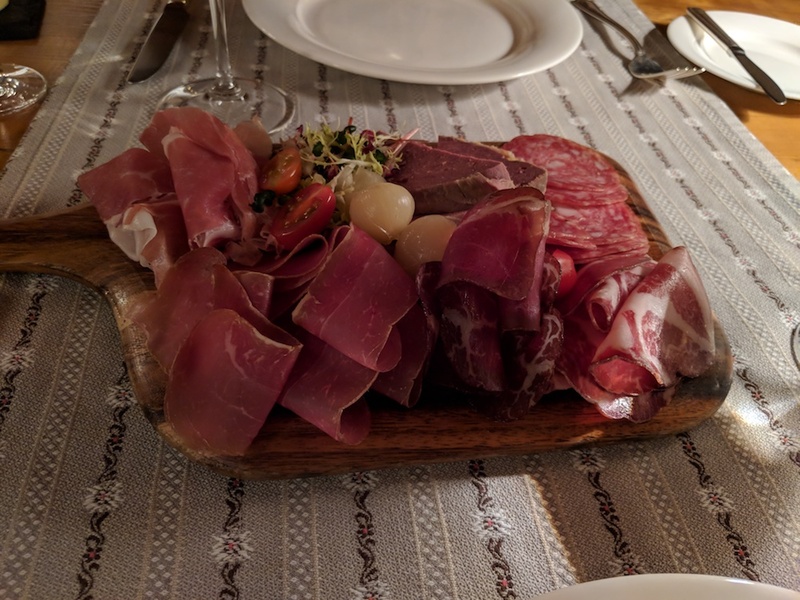 The 2014 Sea Smoke was very appealing, buttery enough to suit our tastes, but bright and fruity enough to offset the richness of the cheese and heartiness of the charcuterie board – it had almost a light, cleansing effect paired with such rich foods. Something lovely , wispy and evocative about the vineyard’s name, too. Very happy with this choice, especially after all the bold reds we’d been enjoying with our our other meals! 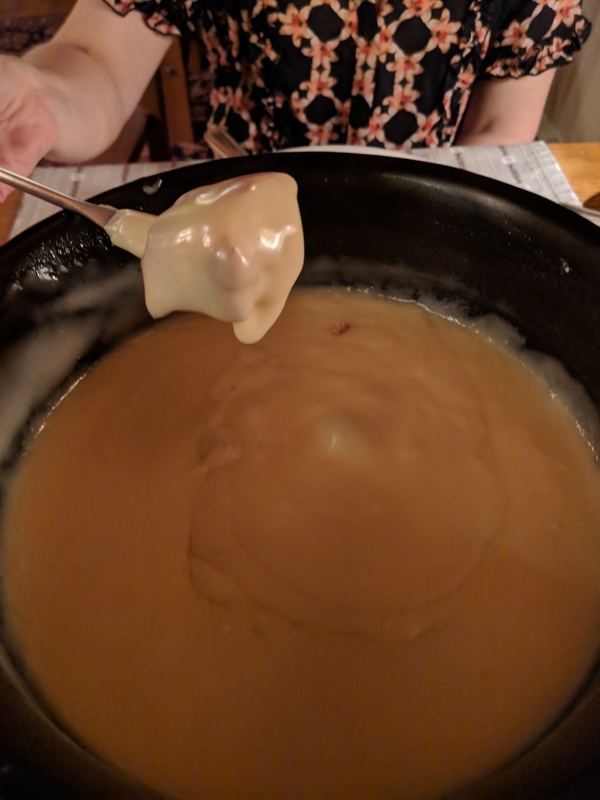 Here are some tantalizing pictures of the rest of our Fondue Stubli experience (the charming restaurant has a small, traditional menu – but all perfectly on point for a traditional fondue experience.). 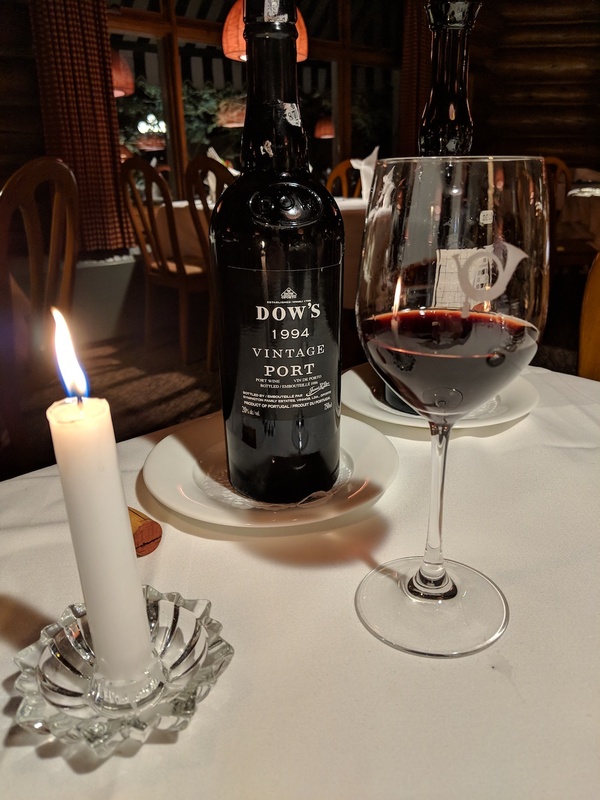 A taste of port to end the evening, the outstanding Dow’s 1994 Vintage Port. If you’re at the Post Hotel, do seek out the Fondue Stubli and a bottle of Sea Smoke Chardonnay, apres-ski, or whatever your plans. Be sure to book ahead as there are only a handful or tables (perhaps 5 or 6).